Sanineutral | Buy the Sanineutral for only £91.06 incl VAT. Buy the Sanineutral online and save time and money. 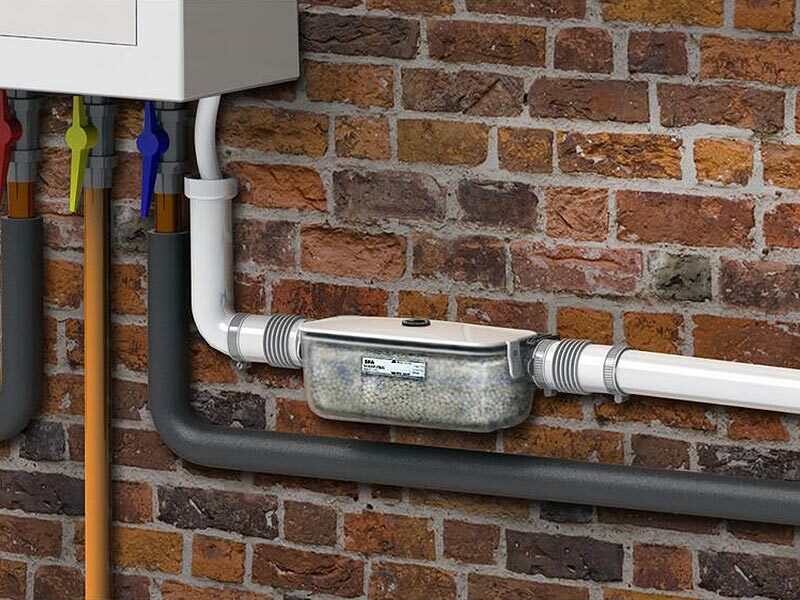 The Sanineutral uses granule packs to neutralise the acidic condensate from a boiler before the waste is expelled. 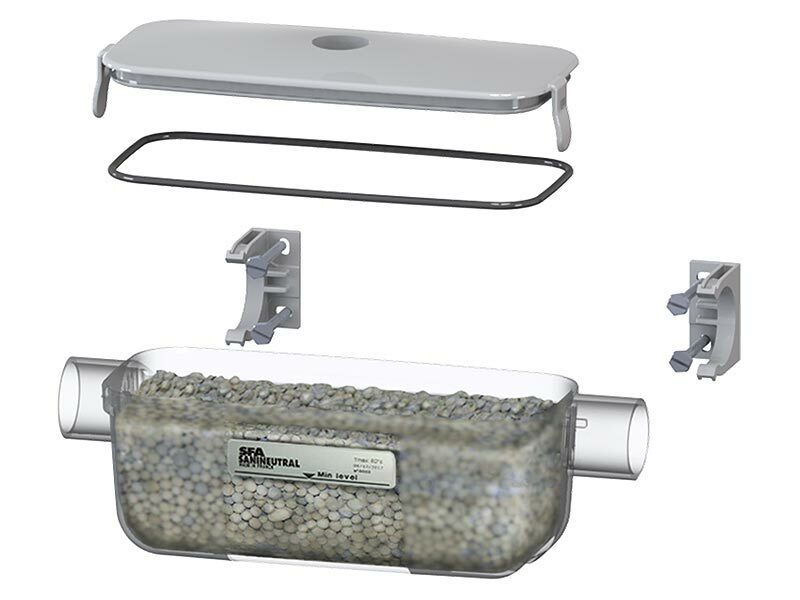 This protects both the surrounding pipework and the greater environment. Sanineutral works without a pump, but can be placed in the system before a Sanicondens Pro or Sanicondens Eco. It is suitable for condensing boilers of up to 50kW and can be fitted to either the wall or floor. The Sanineutral along with all of our SANIFLO Systems and Kinedo Shower Cubicles can be bought online with the reassurance of dealing with the leading SANIFLO & Kinedo Agent in the UK.